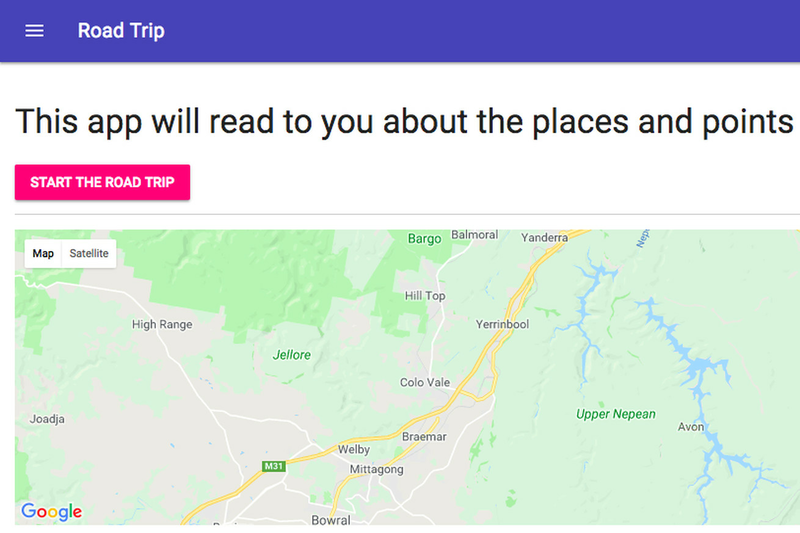 Developed by Malte Ubl, the tech lead for Google’s AMP project, the app detects a user’s geolocation and matches it with relevant Wikipedia articles. The app then reads the articles out loud, kind of a smart passenger who happens to know everything about the history of the town you’re driving (or walking) through. For the curious, the program also allows users to click through to find other interesting tidbits from nearby locales. It’s set up to work in Google Chrome, Firefox, and other browsers that support GPS and speech synthesis. The app was built using Glitch, a website started by Anil Dash last year that allows coders to make bite-sized web apps. “I made [the app] for myself, because I frequently drive through places and was thinking it would be nice to learn more about my environment while I have nothing better to do sitting behind the steering wheel,” Ubl told The Verge. However, the system isn’t perfect — according to comments on the initial Twitter posts, some people in Vienna, Virginia were read articles about Vienna, Austria — and people in Cambridge, New York heard about Cambridge in the United Kingdom, most likely because these are the first articles that pop up when one looks up these city names on the site. As Ubl mentioned in the Twitter post, he’s welcoming patches to fix these (and any other) issues.